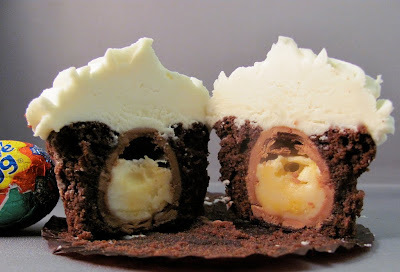 One of coolest ideas that I've come across is for Cadbury Creme Egg cupcakes. Who doesn't LOVE Cadbury Creme Eggs?! Super easy to make. 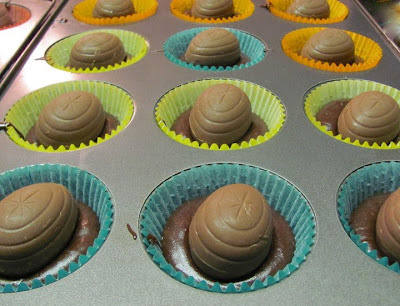 Just prepare your cupcake batter as you normally do, but add a frozen Cadbury Creme Egg on top on the batter before you put in the oven. That's it! It's the perfect Easter treat.